Samuel Alba, a shareholder at Snow Christensen & Martineau, was recently appointed as Chairperson of our Board of Directors. Mr. Alba’s practice focuses on the defense of complex commercial and white-collar criminal cases in both state and federal courts. 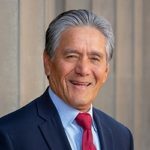 He offers clients a unique skill level gained as a judge, a prosecutor, a public defender and a lawyer in private practice. Because of this broad experience, he can readily assess a case from all perspectives. Mr. Alba works proactively with prosecutorial and investigative agencies to prevent criminal charges from being filed against clients – shielding them from significant damage to their bottom line and reputation.